This ESL kids alphabet writing page will teach your children how to write the letters that are used in English. There are two parts of English communication: listening and speaking then reading and writing. If you come from a country that does not use the Roman or Western letters, then you kids will need to learn them. If your children need to be able to write in English, then they need to know the letters. They need to know how to write all 26 letters in both big (capital) and small (lowercase) styles. 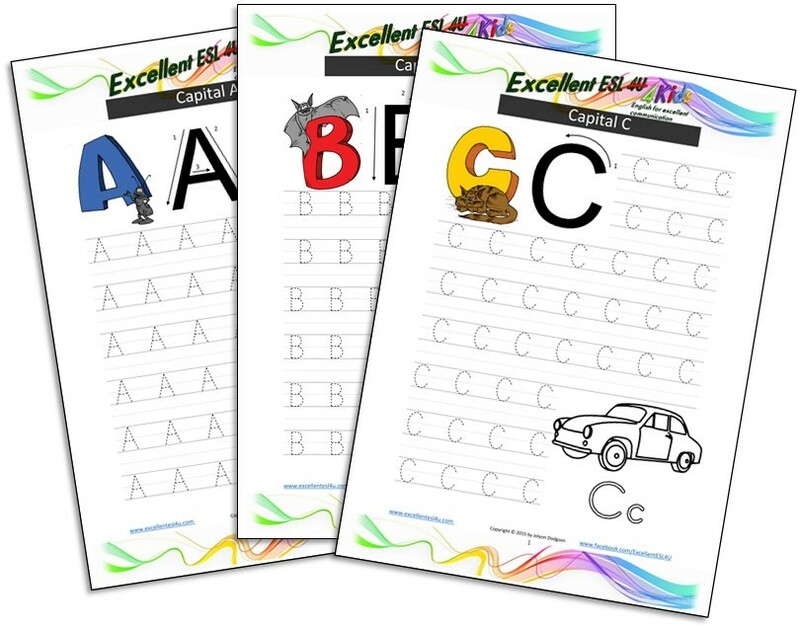 To help your children learn how to do this, this ESL kids alphabet writing page has one worksheet for each letter as a capital and lowercase, so 52 worksheets in total. In addition there are videos to show you how to write each letter. Once your children know how to write all the letters they can start to learn the ESL kids vocabulary and do the ESL kids worksheets that have lots of exercises to do where your children will practice writing the letters more as part of full words. The two videos in this section show you how to write the lowercase and capital letters. 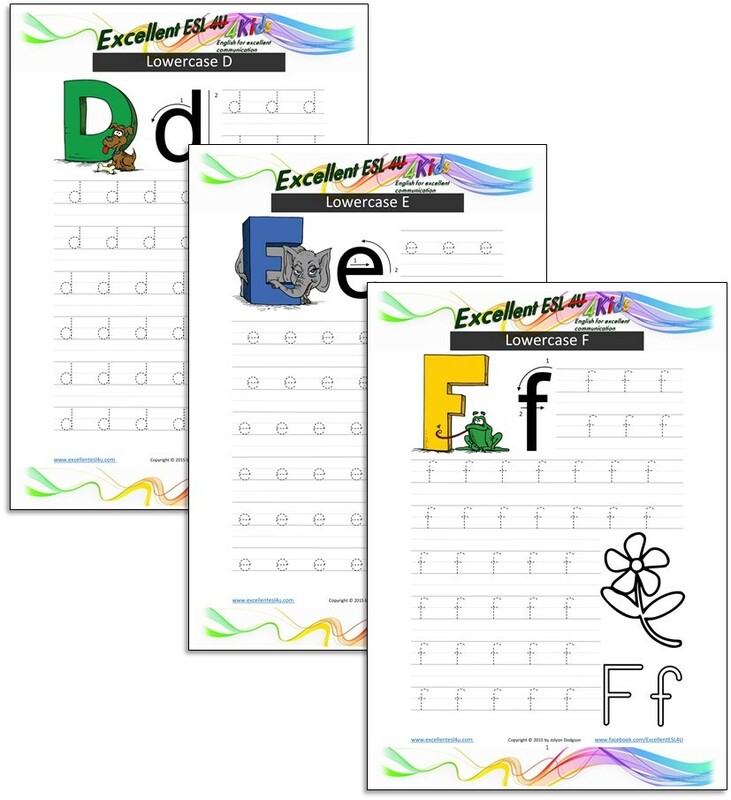 You can watch the videos to see the correct way to form the letters before doing the alphabet writing worksheets from the next section of this page. Just click the following links to download the worksheets so your kids can use them at home. If you like the material on this page you can sign up for the Excellent ESL 4u ezine buy using the sign-up box in the right hand column of this page. The ezine is published every few weeks and will keep you up-to-date with all the material published in this site.